One of the greatest joys in life is giving a home to an animal in need. After all, adopting a pup in need means that you’ll be saving their life and add a new loving member to your family. You’ll be moved by this touching tale of a couple that adopted a one-legged dog that was once left for dead. You’ll get teary-eyed at photo #6! 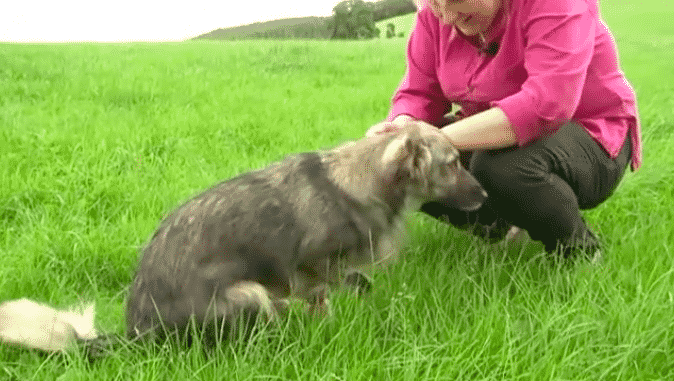 A Romanian Dog Rescue group is responsible for giving a one legged dog a new lease on life. On their Facebook page, the dog rescue group posted Glory, a dog with only one leg. The post featured Glory with stubs covered in bandages. But how did she lose her legs? 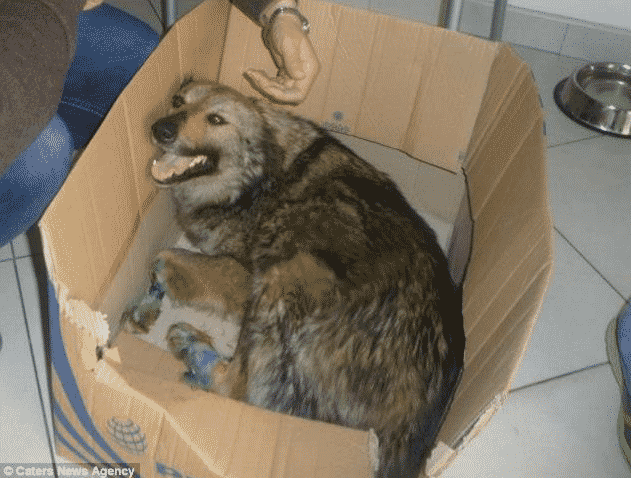 Glory, a four-year-old crossbreed, had been living a life of danger on the streets of Bacau, Romania. 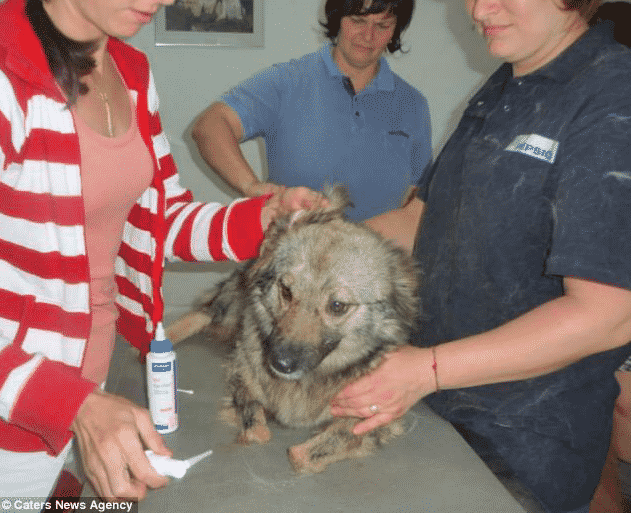 Dogs in Romania are not always treated kindly, so when one factory worker stumbled upon her he let her into his home. This made for a suitable home until something horrific happened. The man who had been watching over Glory had left for a week on vacation. Glory had been out and about, traveling the streets as usual. She never expected that she would become the victim of a terrible attack that would scar her forever. 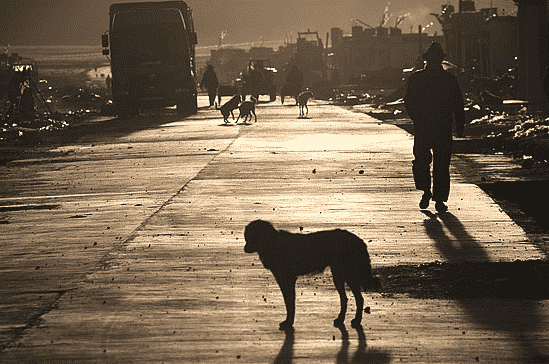 While Glory was minding her business, as dogs on the streets tend to do, she was approached by a group of thugs. 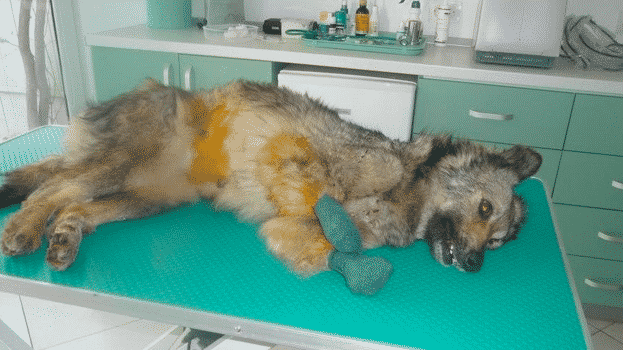 With no compassion in their hearts, they attacked the innocent dog in such a horrific way that it damaged both her front legs and one of her back legs. When the man finally returned from his trip away he discovered Glory with her limbs mutilated and bones sticking out. He took Glory to the vet and both of her front paws and a part of her back leg had to be amputated in order for her to survive. 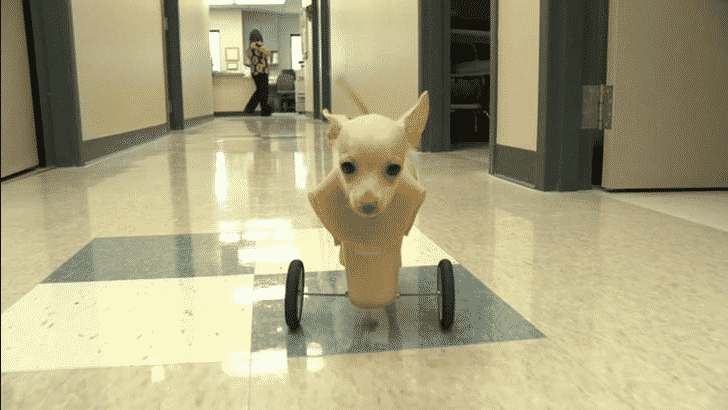 Glory was left with only one fully functioning leg. Eventually, a photo of Glory made its round on Facebook and the coverage helped her get a new start in life. 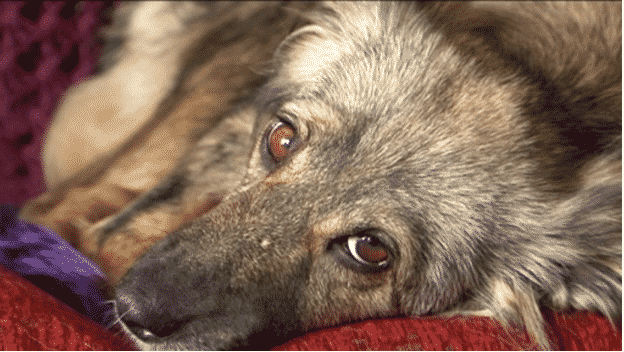 The vets at the animal shelter uploaded a photo of Glory that was so sad and heartbreaking everyone began to ask about the poor thing. Eventually, the photo reached Vanessa and Roger Bamkin. Vanessa was immediately smitten by the dog and she knew she had to take some action! Living about 2,000 miles away from the animal shelter, Vanessa came across the Facebook post and knew that Glory was to be her dog. “I saw a picture of this little dog on an operating theatre table. My heart went out to her and I turned to my husband and said I’ve just got to give that dog a home.” Vanessa said. So Vanessa went ahead and did the only thing she could do: adopt Glory and give her a new and stable home! But, this would come with A LOT of difficulties that you’ll soon see. 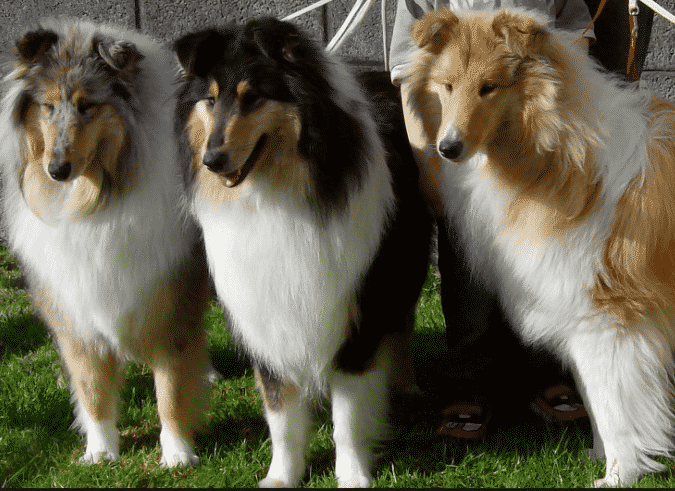 You see, Vanessa was already a huge animal lover with three collies of her own. One of them was a rescue dog as well. She felt that it was her mission to save Glory from a life of pain and misfortune after losing her limbs. “It beggars belief that someone could actually do that,” she said about the attack on Glory. Roger and Vanessa immediately paid for Glory to be vaccinated and then went out on their way to the animal shelter in Romania to pick her up. 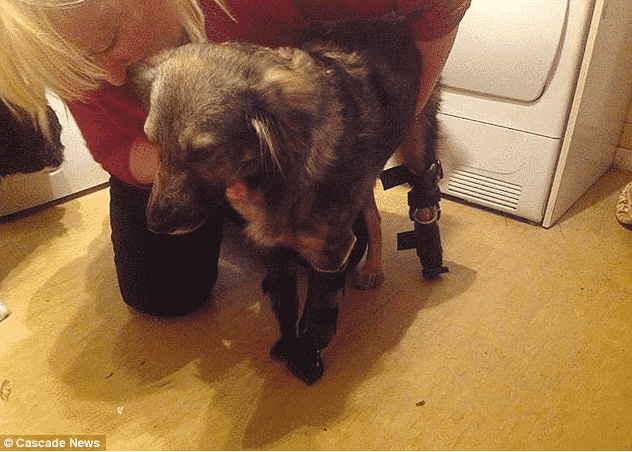 They knew that the dog would have a difficult time walking without her paws so they set out on a mission to get her legs that she would be able to use. However, they didn’t expect the price to be so costly. When Glory arrived home to be with Roger, Vanessa and her new Collie brothers and sisters she took a while to get adjusted. Since her legs were amputated, Vanessa would carry her long trips around. 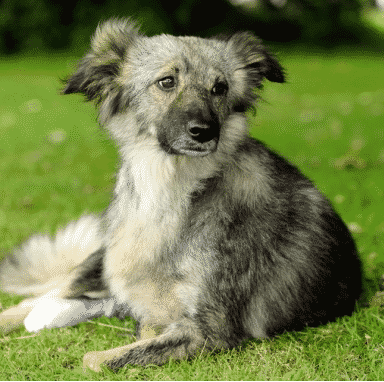 The couple decided that Glory needed her independence back and started a fundraiser for artificial paws and legs. Vanessa never expected the generosity to reach such astounding levels! When Vanessa started the fundraiser she wasn’t expecting a huge turnout. “People have already started giving us money. My mum gave me £20 the other day.” She said from the start. The Internet, however, has an amazing way of surprising you when you least expect it and the Bamkin’s were able to raise an out of this world amount of £4,000. Finally, they could make the purchase that would forever change Glory’s life. Vanessa wanted to get three prosthetic legs for Glory like the ones that she saw on a dog in Nebraska. 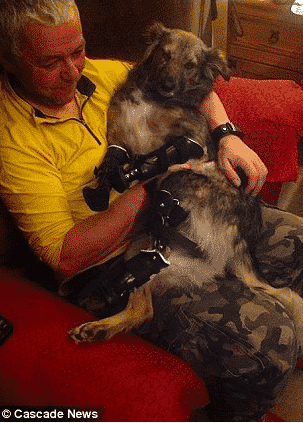 A video of the dog was uploaded online, as they were the first in the world to have four bionic paws. Vanessa knew that was the goal for Glory and so she went to the only place that could get the job done. 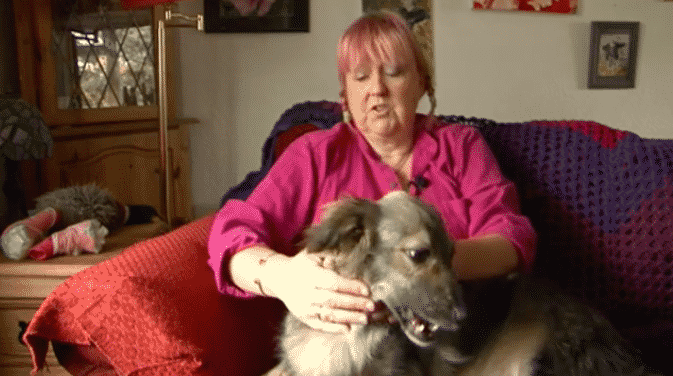 With all of the fundraiser money, Vanessa was finally able to afford the three prosthetic limbs from Gloucester firm Orthopets. Vanessa sent in the order and excitedly waited for them to ship over to her so that Glory could begin walking with ease. In the meantime, you’ll “awe” at what activity Glory prefers to engage in. While waiting for her limbs to arrive, Glory patiently spent her time wading around in the water. 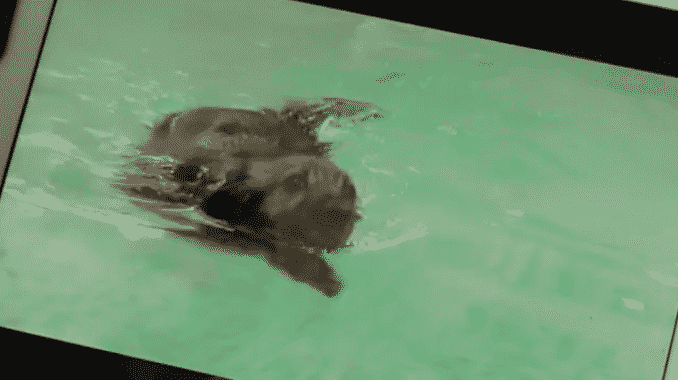 Yes, it seems that Glory much prefers to swim in a nearby hydrotherapy pool as opposed to walking. But all of that was about to change once the bionic legs arrived. “She’s such a brave little dog. The first time she put them on she was very wobbly, but she did really well and walked a bit.” Vanessa said of Glory’s first attempt to walk. There’s still a lot that needs to be done with the legs before Glory runs around as happily and freely as she once did before. Check out the work that lies ahead. 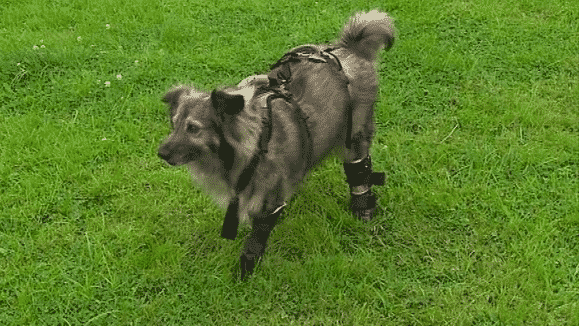 Vanessa will continue to send over videos of Glory walking in her new limbs and the experts will continue to adjust them so that she has the most comfortable walking experience. 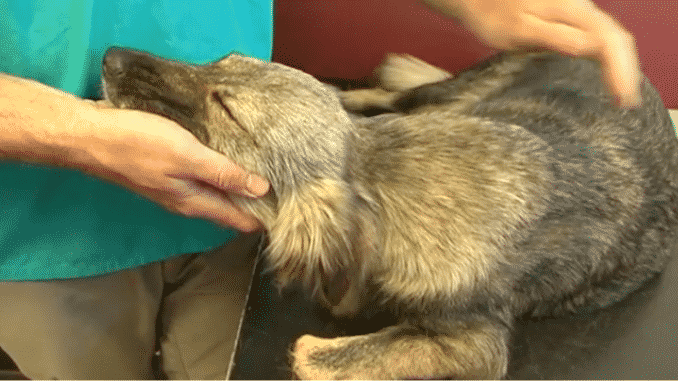 But Glory isn’t the only dog to have her life given back after having limbs removed or lost. Take a look at these next photos of some of the saddest and cutest pups ever that have lost a limb. 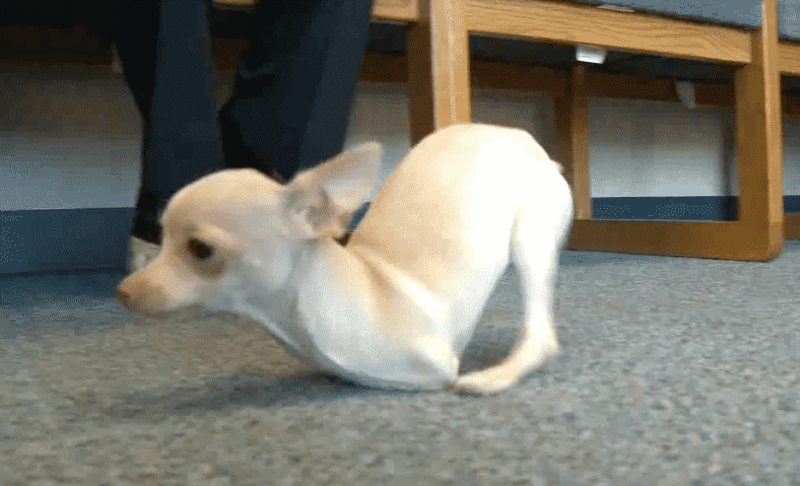 This is Josie the Chihuahua and she was born without both of her front legs. The Hanger Orthopedic Group went to work to create her some wheels that help her get from place to place. You won’t believe what a difference it has made in her life! The Orthopedics soon realized that they needed to create a wheel that was incredibly lightweight so that she could push it forward. They cast her and created the amazing contraption that helps her gain her independence. Her owners have noticed a huge difference in her happiness levels when she has the wheel on. If you love Josie then you’ll be even more enamored by our next pup! Our next dog was missing just one leg but that didn’t stop her owners from making the situation a bit more lighthearted. 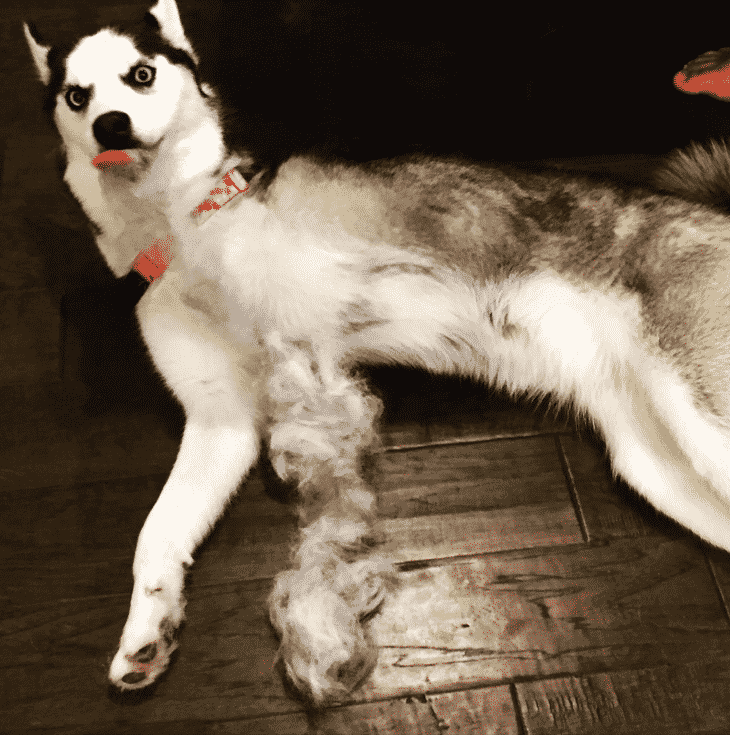 They decided to put together a new leg for her made out of cotton. Look at that face – she looks pretty excited if you ask us. So how are things going for Glory these days? Now with four fully functioning legs, Glory has been restored to her full glory! Without the love, care and support of amazing people like Roger and Vanessa none of this would have been possible and now Glory has a happy and healthy life that she is grateful for.